Painting a room or your entire house may be the least expensive way you can dramatically change the look of your home. But for many it comes with a high price: color anxiety. If you are losing your way in the quest for color; agonizing over countless paint chips that are looking all the same; feeling overwhelmed at the amount of time spent on indecisiveness: then you’d be wise to enlist the help of a Hirshfield’s color stylist. We offer interior and exterior color consultations from professionally trained color consultants. Hirshfield’s color stylists know paint color: all its potential and its limitations. In a little over an hour, we’ll visit you in your home, get an overview of your spaces, your lifestyle and the personality you wish to convey. Choosing exterior colors can be even more daunting for the homeowner. The process is similar to interior consultations, but the discussion begins outside. Along with careful consideration to your likes and tastes, our color stylists take into account the architecture of your home, the surroundings (the neighborhood, your neighbors’ homes, landscaping, etc), your home’s overall construction, fixed colors and materials. • Developing an entire color plan which you can work on room by room over time. After the in-home visit with the color stylist you’ll receive Your Color Complements color plan which details all of the paint colors specially selected for your rooms, the product recommended and the paint quality and finish required. 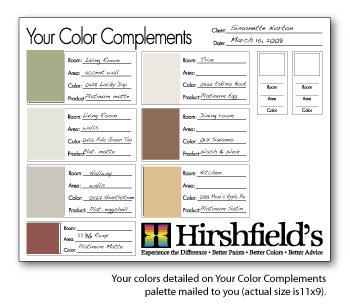 If you’re a member of our ColorClub program, when you purchase your $150 color consultation, you will receive a $20 Hirshfield’s gift card to use toward the purchase of your paint and supplies. 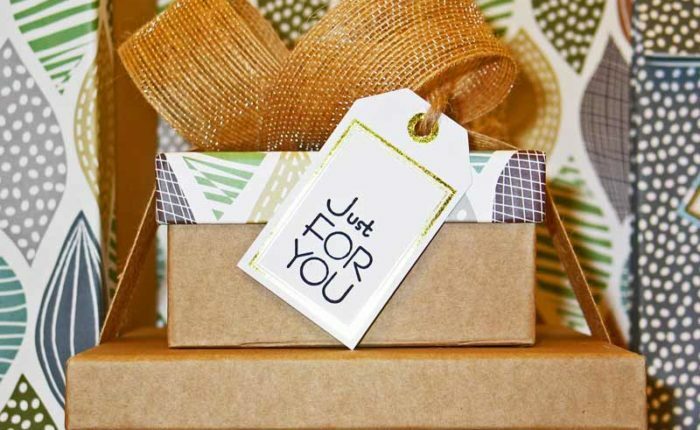 Thank you so much for all your help and patience–you are so good at this!! !